Wireless Earphones or Headphones are very convenient and efficient as you don’t always get tangled wires which takes one or two minutes to untangle. On the top of that, Bluetooth enabled wireless earphones make it more reliable. As an iPhone user, one must try a Bluetooth in-Ear Earphones. If you are a Music lover and also have a busy life style then you will definitely want a nice pair of in-Ear Bluetooth Wireless Earphone. There are bunch of amazing earphones out there in the market but what you really want to buy depends on your preferences. A great earphone is considered as great only if it is efficient enough. Other factors to consider to make an earphone great are – the Audio quality like the amount of bass & the treble and also how crisp the sound is; and the signal strength ofcourse, like how clear the person can hear your voice on the other end during an audio call. If these factors are there, then the earphone itself is awesome. Also the price of the earphone comes into the picture too. So today I will talk about one of the best Bluetooth Wireless In-Ear Earphone for your iPhone 6S. 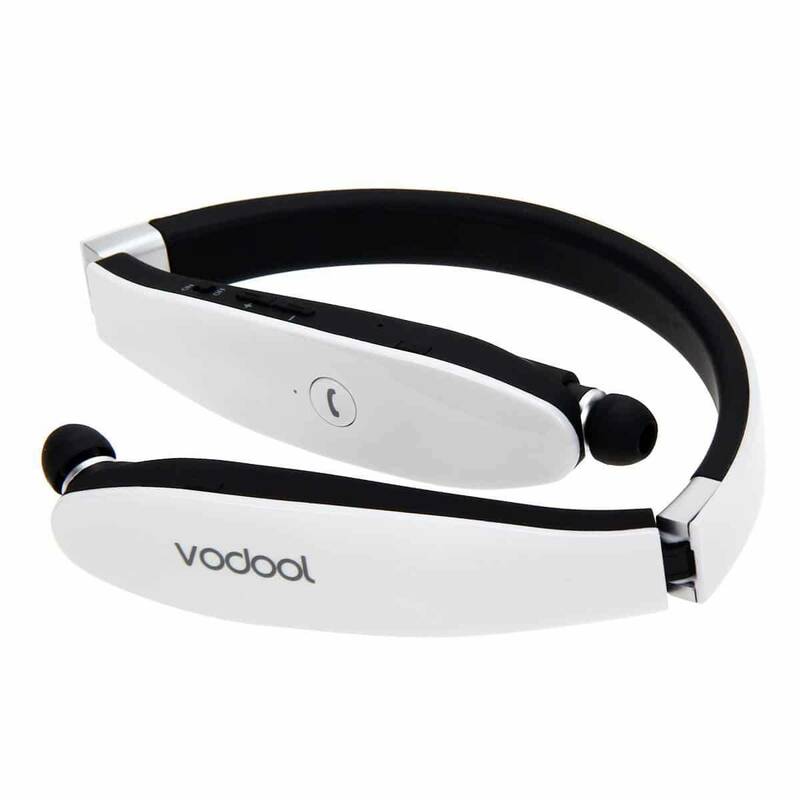 This ear phone from Vodool is one of a kind and many iPhone 6S users also recommend this earphone. So first I will share the details about the Earphone. The Vodool Bluetooth 4.0 wireless In-Ear Ear phone for iPhone 6S is about 70 grams which is quiet light as per the size. This bluetooth in-ear earphone comes in two colors, black and white. Talking about the size or dimension, it is 176mm * 150mm * 25mm which is a comfortable size for these kinds of Earphones. This Vodool earphone sports the latest Bluetooth version of 4.0 as mentioned in the name itself. This bluetooth version is good with the signal strength and connection. The battery capacity of this Vodool Bluetooth Earphone is 300 mAh, which gives you a decent backup. You can easily get 1 -2 days of backup easily under normal usage. In numbers you can get around 18 hour of talking time and 16 Hours of music. 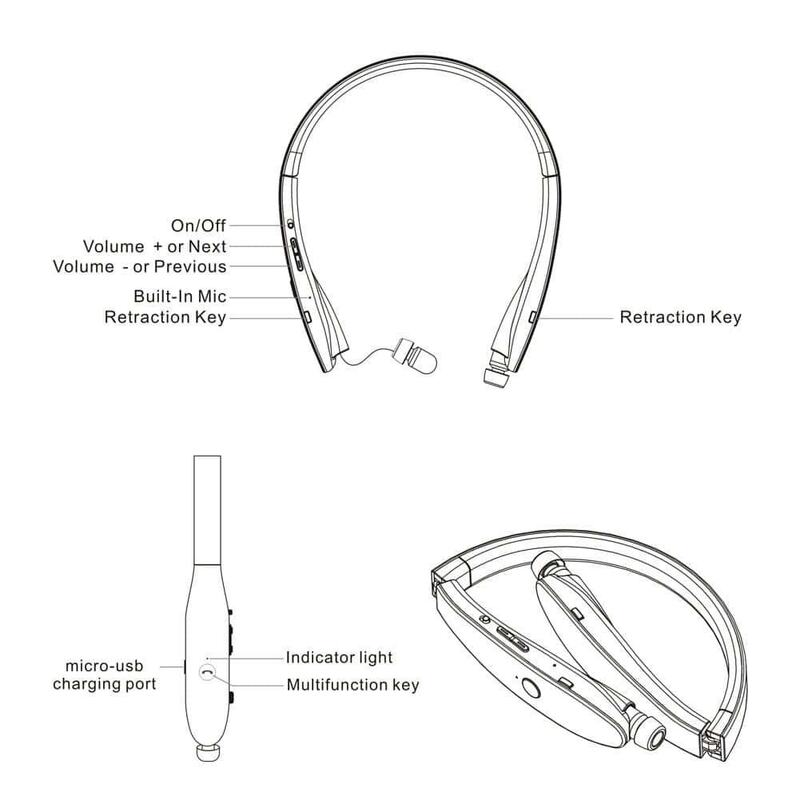 This Earphone supports HSP, HSP, A2DP and AVRCP. Now let’s talk about the eye-catchy features of this Vodool Bluetooth 4.0 wireless In-Ear Earphone for iPhone 6s. You can easily switch calls by connecting two devices simultaneously. You can also play music quickly and communicate fluidly with the advanced multi point VR technology and MIC in your iPhone. The design of this earphone is also very unique that makes it very convenient to use. 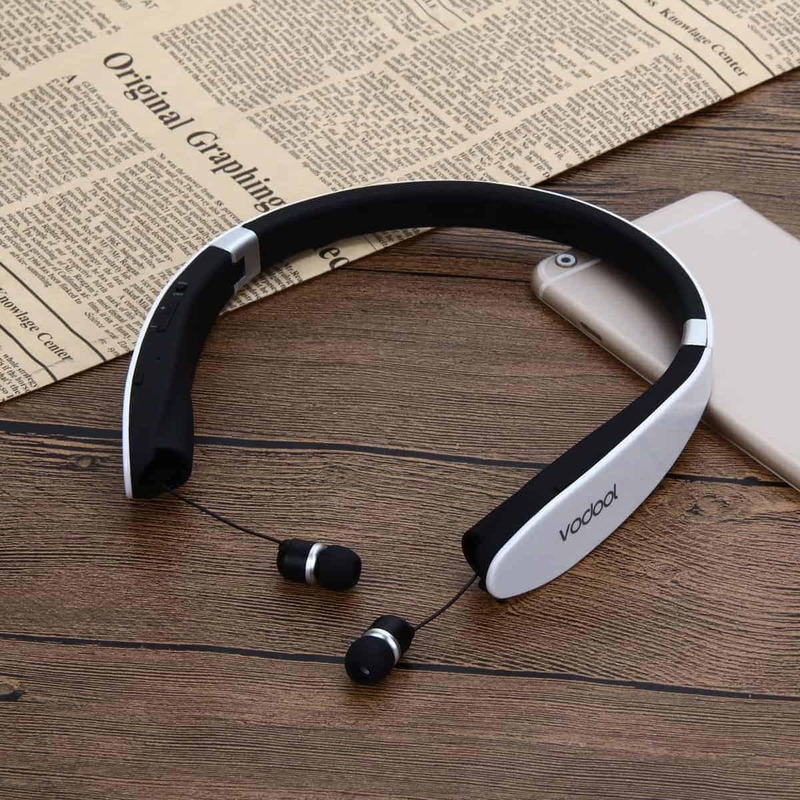 With foldable and retractable design this ear phone is very portable and you don’t even have to worry about the ear phone when you put it in your bag. This wireless In-Ear earphone also has a great Noise cancellation technology, thanks to 6G CVC that is implemented in the ear phone. You get a crisp quality audio and phone calls everywhere. The buttons in this Ear phone are also very tactile. These buttons are easy to operate. Powerful Bass and High quality Audio stereo sounds are delivered with the Bluetooth 4.0 technology. It has a special feature of automatically turning the music off and on when an incoming call comes and as soon as you end the call, the music will start again automatically. This Bluetooth 4.0 wireless In-Ear Earphone is supported in a vast range of devices, from smartphones to tablets, based on iOS, Android and windows platform. Vodool Bluetooth 4.0 wireless In-Ear Earphone is a must-by if you don’t like the apple ear-pods that come along with your iPhones. Also, this bluetooth earphone costs around $27, which is a good value for money looking at the features offered. You will get a Charging Cable in the box which seems very sturdy and other paper work like the user manual etc is also available. Click here to buy Voodol Bluetooth 4.0 Wireless Earphone. Sure there are other Earphones out there but this one will deliver you a great experience. Let us know in the comment sections below about what you think about this In-Ear Earphone. Next articleSamsung Galaxy Note 7 Leaks Roundup: Every Rumor We Know about Galaxy Note 7 So Far!